Just for the kids! Come and spend the entire day at Gulf World Marine Park meeting all of our amazing animals. 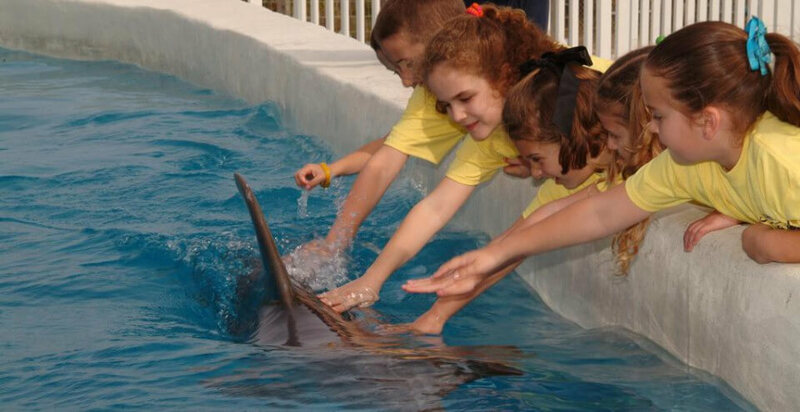 You will get up close and personal during behind-the-scenes tours and private sessions with our dolphins. You will assist in training sessions, see our exciting shows and learn tons of fun facts about marine life. With arts and crafts, lots of games, and a pizza lunch, this is an incredible way to spend your day! Pizza lunch, drinks and a snack are provided. Must be 7 to 11 years old to participate. Participants must advise of any medical restrictions or allergies when registering child. 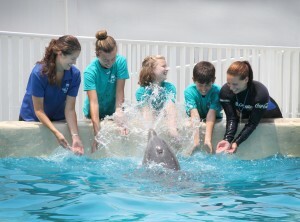 Reservations are required for Dolphin Day Camp. To make your reservation today check the calendar below. Our programs fill up quickly, so make your reservation as soon as possible. This program can have groups of up to 14 people. Come and spend the entire day at Gulf World Marine Park meeting all of our amazing animals.